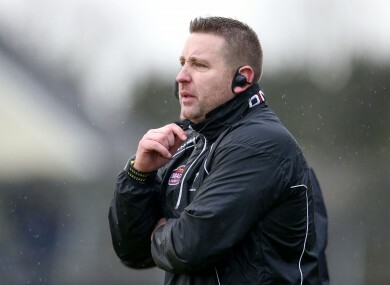 KILDARE CONSOLIDATED their position at the top of the Division 3 football league table with 2-11 to 0-10 win over Longford in Glennon Brothers Pearse Park. Cian O’Neill’s side made it three wins from three in a scrappy game, with goals from Eoghan O’Flaherty and Thomas Moolick proving critical. Kildare led by five at the interval and were 2-11 to 0-9 in front on 66 minutes when goalkeeper Mark Donnellan denied Longford a lifeline by saving Mark Hughes’s spot kick. Tipperary maintained their unbeaten record with a hard-earned 1-8 to 0-11 draw with Westmeath in Mullingar. Robbie Kelly found the net for Tipp midway through the first half but they needed two late scores to force a share of the points. Westmeath are still without a win in Division 3 and find themselves in a precarious position at the foot of the table with four games remaining. Elsewhere, 14-man Offaly secured another valuable two points by defeating Sligo 1-13 to 0-14 in O’Connor Park. Nigel Bracken goaled for the Faithful five minutes before half-time and Pat Flanagan’s men won despite the dismissal of key forward Niall McNamee, who received a second yellow card in the 60th minute. Clare moved up to second place in the table with a convincing 1-14 to 0-11 win against neighbours Limerick. The Banner dominated for long spells and led by six points at half-time, 0-9 to 0-3. Limerick scored four points on the trot late in the second half to move within five points, but Gary Brennan’s goal two minutes from time wrapped up the victory for Clare. Email “Kildare continue winning ways as Tipperary are held by Westmeath”. Feedback on “Kildare continue winning ways as Tipperary are held by Westmeath”.